Pack your passport and fly away to beautiful Montreal, where rich culture, history, and adventure are waiting! Pack your passport and flyaway to beautiful Montreal, where rich culture, history, and adventure are waiting! Between the quaint colonial architecture and cobblestone streets, you may even feel like you've travelled halfway across the world! 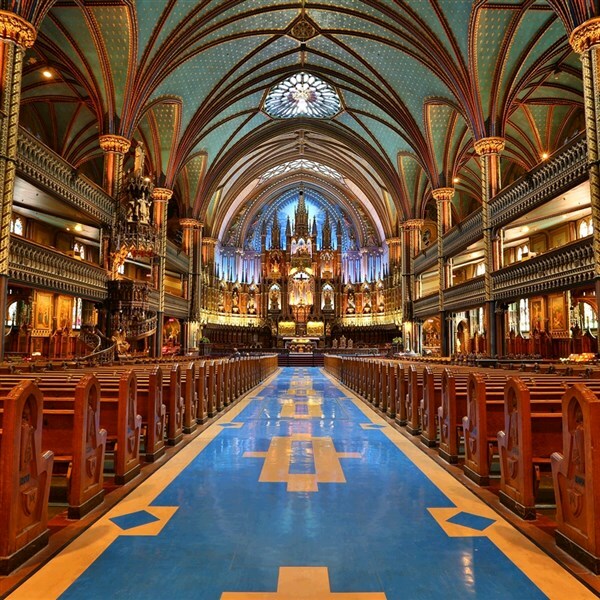 ST. JOSEPH ORATORY: Tour the world's largest sanctuary dedicated to Saint Joseph and see just why it has been declared a National Historic Site by the Canadian Government. MONTREAL CITY TOUR: Learn about Montreal's 350-year history and its French influences from a local guide. Visit the Ville-Marie and the Old Port of Montreal Harbour. ST. LAWRENCE RIVER CRUISE: Cruise along the mighty St. Lawrence River and learn all about many of Montreal's historic secrets along the way! Bring your camera and sit back, relax, and take in the views. NOTRE DAME BASILICA: This masterpiece of Gothic revival architecture captivates nearly hundreds of thousands of visitors each year. Her magnificent paintings, sculptures, and stained-glass windows will amaze you. 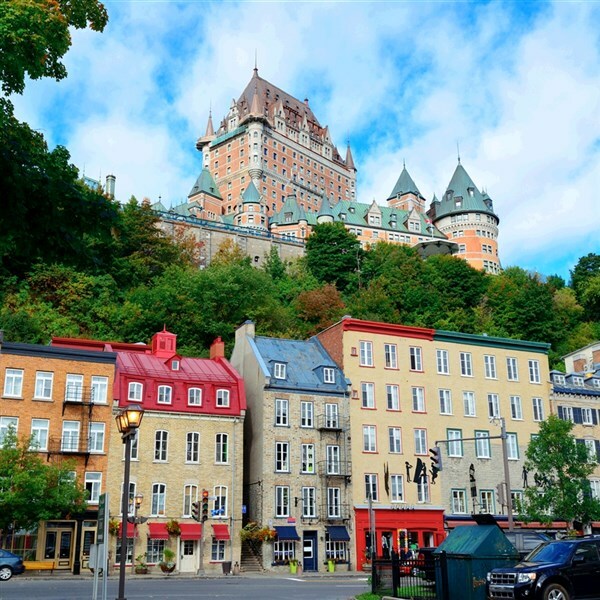 QUEBEC CITY TOUR: With great stone walls, massive gates, and commemorative statues, this city proves to be one of the most European cities in North America! Accompanied by a local guide, you'll learn of the city's history and heroes. Along the way, visit the oldest street in North America -- you're to find that perfect souvenir! CHATAU FRONTENAC: Learn about the history and architecture of this beautiful iconic hotel. This is one of the most celebrated hotels in all the world. See it with your own eyes. ERABLIERE DU CAP: Ready for a sweet treat? Tour this authentic sugar shack and then enjoy a traditional French Canadian meal. Afterward, try their famous "maple taffy on snow"! BASILICA ST. ANNE DE BEAUPRE: Take part in a guided tour of this incredible shrine, dedicated to the grandmother of Jesus. Learn all about its ornate paintings, statues, and the ways Saint Anne helped heal those who visited the Basilica. ISLE D'ORLEANS: Tour this bountiful island to see a winery, a cidery, and a cheesemaker, all the while enjoying delicious samples. This is the heart of Quebec City's agricultural district. *Subject to change based on availability of suppliers. 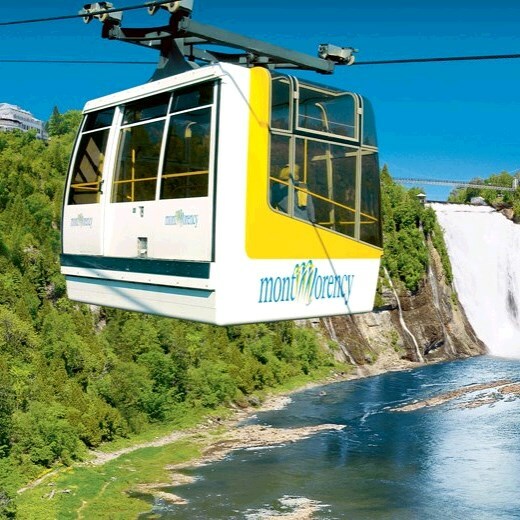 MONGOMERY FALLS: Ride the cable car and enjoy the spectacular views along the way! LA CITADELLE: Located on the city's highest point, visit North America's largest British fortress. Delve into the 300 years of history with a guided tour and learn why this impressive fortress was added to UNESCO'S World Heritage list years ago. OLD QUEBEC: Enjoy some time on your own this morning to pick up that last-minute souvenir or capture a few more photos of the spectacular views. DEPOSIT: $100 per person at time of reservation; final payment due May 17, 2019. Once payments have been received, stringent cancellation penalties apply. ACCOMMODATIONS: Hampton Inn & Suites by Hilton, Dorval, QC (2 nights), Palace Royal, Quebec, QC (2 nights). TOUR INCLUSIONS: Professional tour director, roundtrip motorcoach transportation/airport/resort transfers, roundtrip air, accommodations, luggage handling at hotels, admissions/attractions, and 9 meals including 4 breakfasts, 1 lunch, and 4 dinners. PASSPORT REQUIRED: Passport must be valid for six months upon departure from Canada.